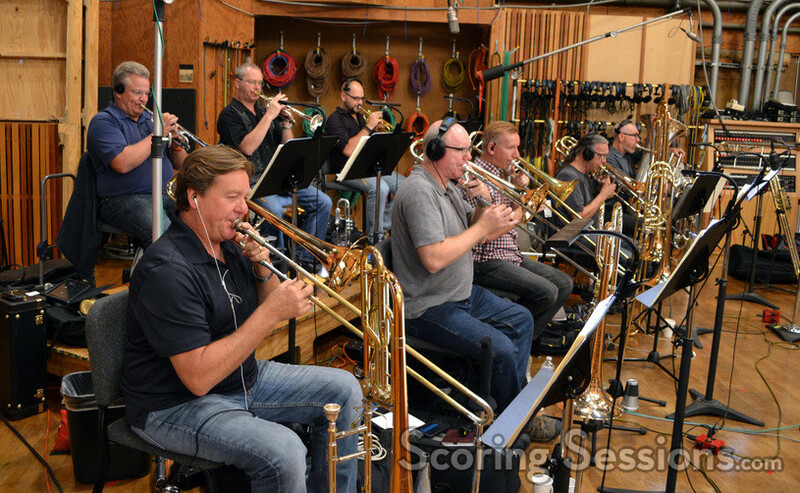 Last fall, Emmy-winning composer Joel McNeely recorded his score to Tinker Bell and the Legend of the NeverBeast, the sixth film in the hit DisneyToon Studios series of animated features. 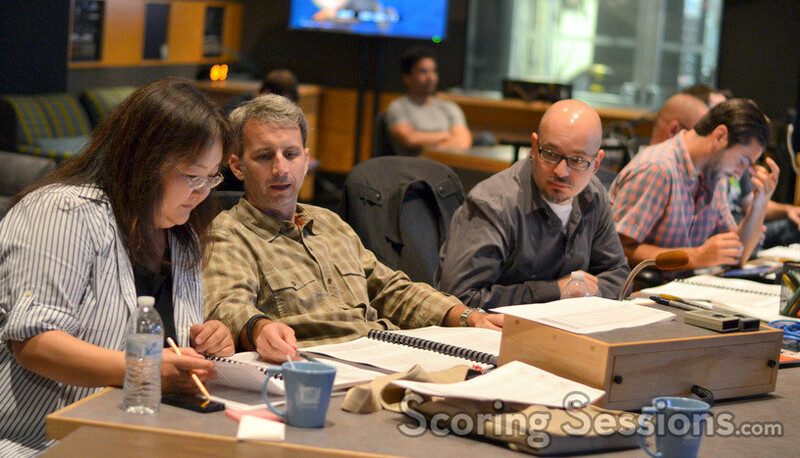 The music was recorded at the Newman Scoring Stage at 20th Century Fox, and ScoringSessions.com is excited to bring our readers exclusive photos from the scoring sessions! 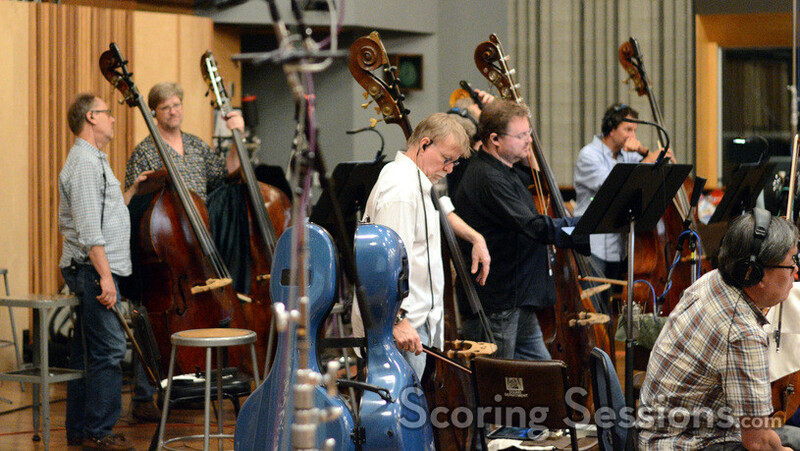 The large ensemble of the Hollywood Studio Symphony was conducted by Mike Nowak, and the grandiose orchestral writing that McNeely has been composing for the series benefited from the size of the group. 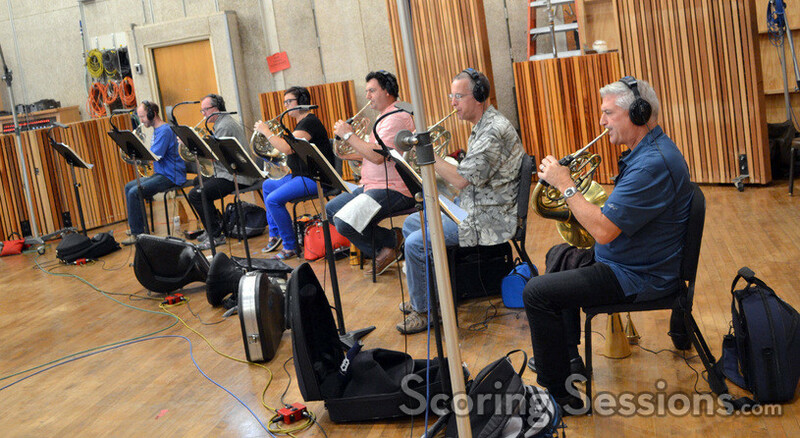 In the booth, McNeely oversaw the sessions, sitting alongside scoring mixer Richard Breen. 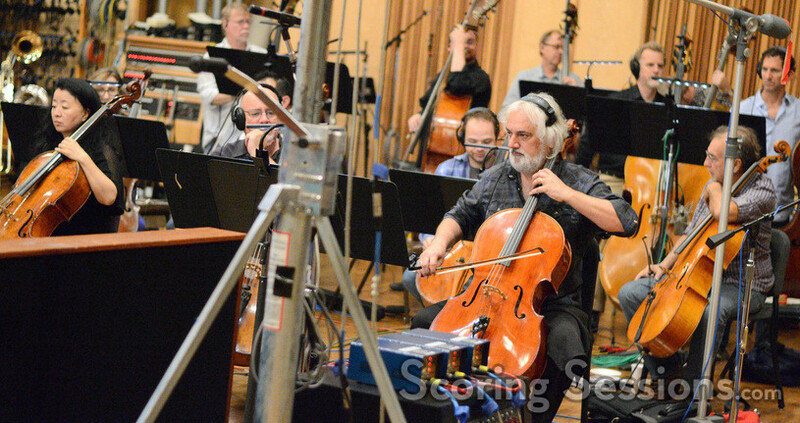 Also at the front of the booth were Matt Walker (Senior VP Music – Walt Disney Studios) and featured instrumentalist Bleu McAuley, who (along with Rob Cantor) wrote original songs for the film. 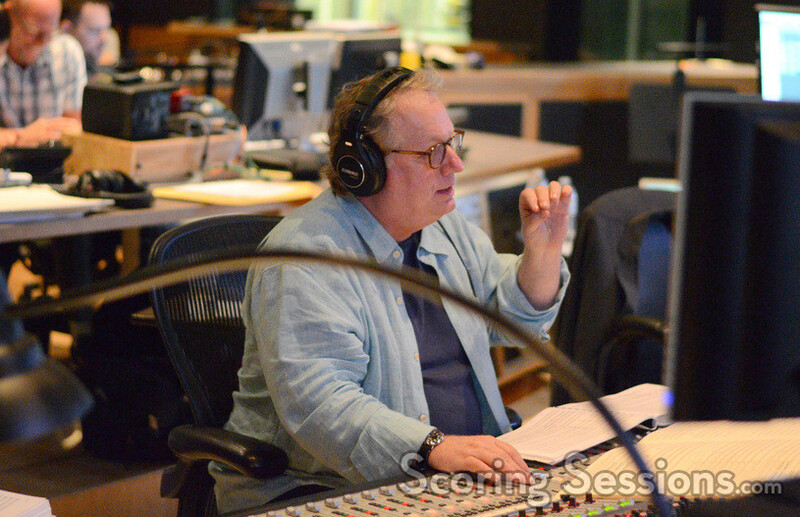 Also in the booth was orchestrator Dave Slonaker, the film’s director Steven Loter, producer Makul Wigert, editor Margaret Hou and DisneyToons Studio Music Production Coordinator Francis Debbane. 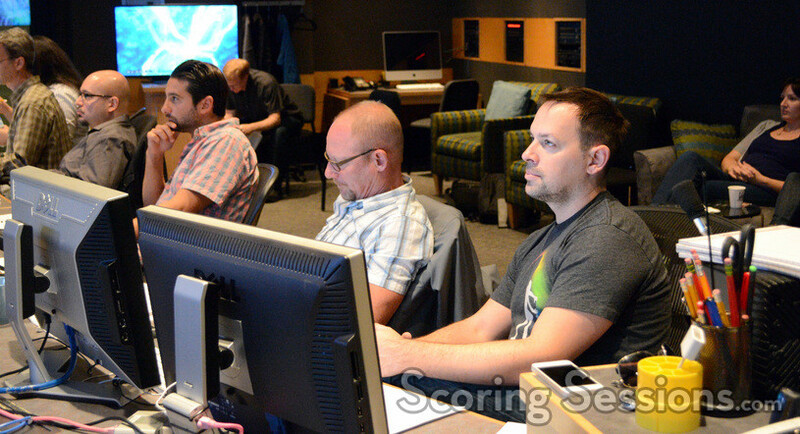 ProTools recordist Adam Michalak and Brett Swain (Director of Music, DisneyToons Studio) were also on hand to lend feedback. Tinker Bell and the Legend of the Neverbeast was released on home video on March 3, 2015. 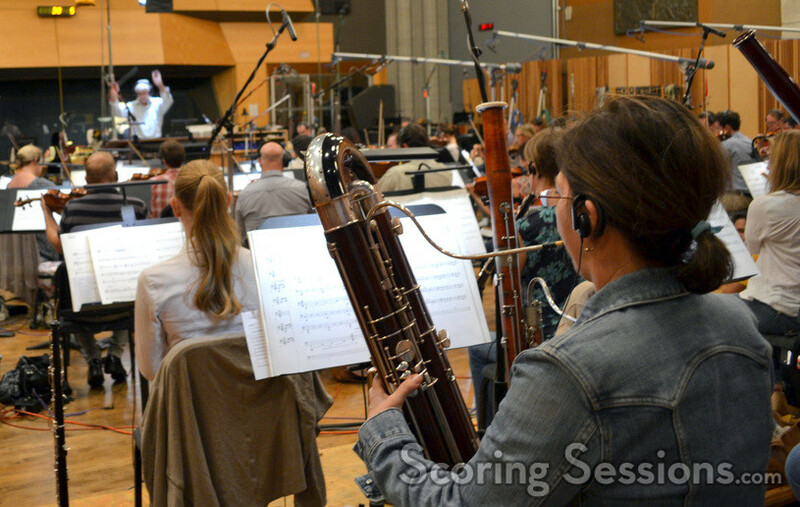 A soundtrack album featuring McNeely’s score (and songs by McAuley and Cantor) has been digitally released as well.